Place the prawns and chicken in a bowl. Sprinkle over the flour and Old Bay Seasoning and toss until completely covered and coated. Deep fry the chicken strips and prawns for 3-4 minutes until each is crispy and golden then place on a plate with kitchen paper to drain. Cut the baguettes in half. Generously cover the base with French's Classic Yellow Mustard. 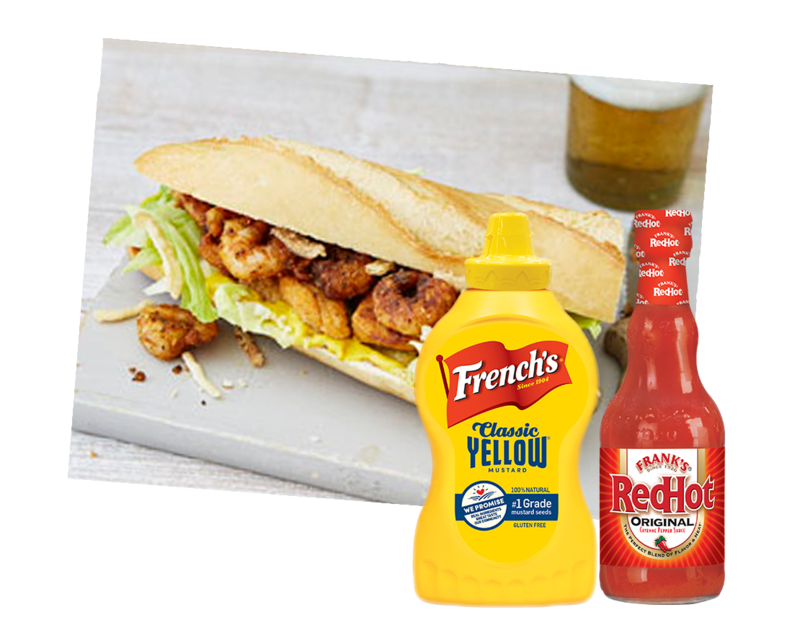 Add a layer of lettuce on top of the mustard, followed by the chicken, prawns and crunchy onions, then sprinkle some Frank’s RedHot Original Cayenne Pepper Sauce to taste.